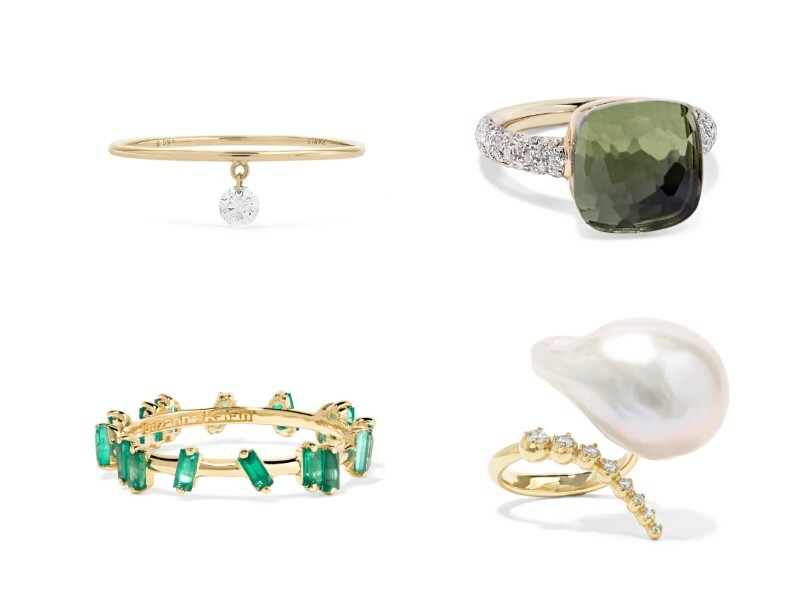 We’ve been all over coloured engagement rings for a while now, so we were super happy to hear that Etsy has named birthstone engagement rings as one of their breakout wedding trends of 2019. 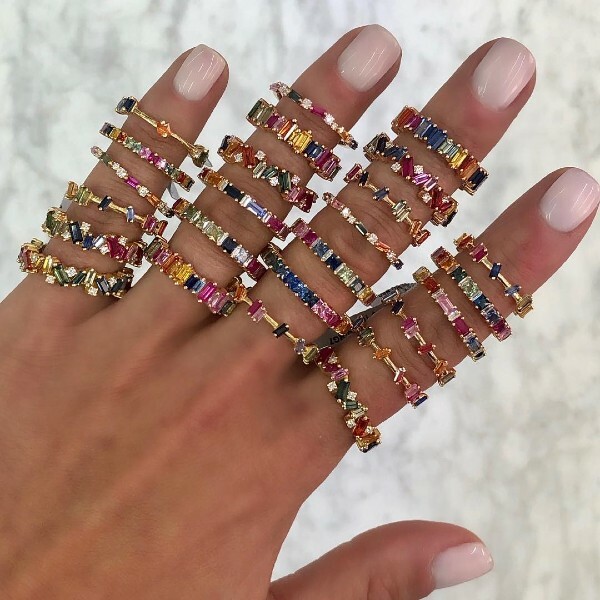 Along with statement sleeves, sustainable tableware and unconventional seating plans, the e-commerce site has declared birthstone engagement rings as the perfect way for brides to to express their individuality. Top left, clockwise: gold diamond ring (approx. S$540) from Persée; 18-karat rose and white gold prasiolite and diamond ring (approx. S$7,580) from Pomellato; 14-karat gold, pearl, and diamond ring (approx. S$3,860) from Mizuki; 18-karat gold emerald ring (approx. S$2,340) from Suzanne Kalan. 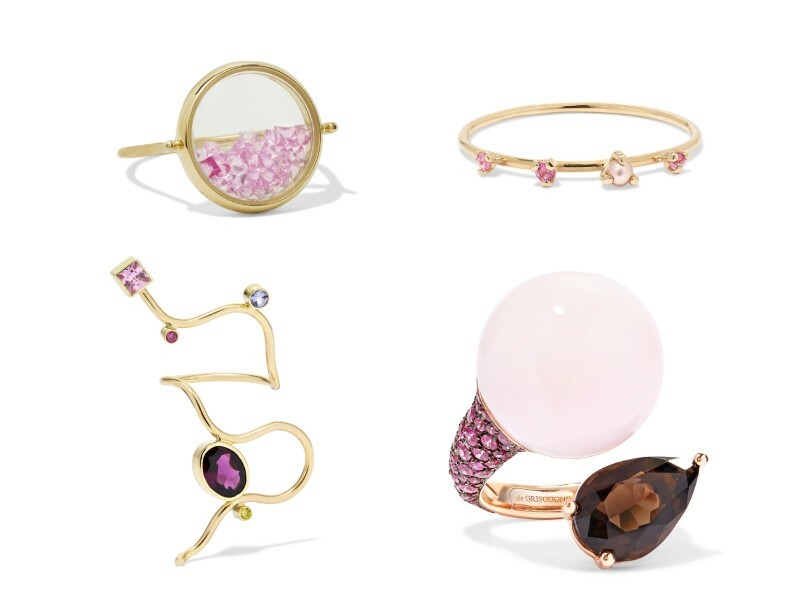 Top left, clockwise: 18-karat gold sapphire ring (approx. S$2,540) from Aurélie Bidermann; gold, sapphire, and pearl ring (approx. S$300) from Sarah & Sebastian; 18-karat rose gold multi-stone ring (approx. S$18,900) from De Grisogono; 14-karat gold multi-stone ring (approx. S$2,890) from Pernille Lauridsen. This story first appeared on elle.com/uk.